Caring for a terminally ill loved one can require a great deal of dedication. It is not only emotionally draining, but depending on the level of care required, can be time consuming and physically demanding, too. Most families reach a point when they must arrange for outside help in caring for a dying family member, but some are unsure how to go about locating helpful, qualified, assistance. Some patients need only a minimal amount of care, making it easy to arrange for the help that they need. Those who have greater needs for assistance, though, may wish to itemize the services that they require so that they can begin the process of locating qualified helpers. If being able to remain in the home, rather than spending the last weeks and months of life in a hospital setting is desired, a variety of help may be needed, as well as some pieces of home medical equipment. The patients’ doctors or medical team members may be able to help determine just what types of assistance would be most beneficial to patients and their family members. Some terminally ill patients find themselves inundated by offers of help from loved ones. 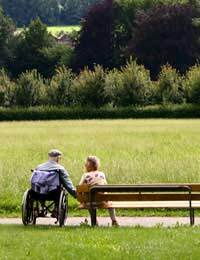 Accepting the kindness of others is difficult for some people, who may have never needed to rely on anyone before, but when friends and relatives offer their assistance, they are undoubtedly sincere and truly wish to not only make things easier, but hope to spend as much time as possible with their terminally ill loved one. When they are comfortable to do so, those with terminal illnesses should try to allow those closest to them to provide hands-on help, whether it is transportation to medical appointments, housekeeping and other chores, errands, or assistance in dealing with insurance companies. Each person involved may have certain skills that they would be able to utilise, and when loved ones combine their talents, they may be able to form a network of support and assistance, meeting the many needs of the terminally ill patient. There are a number of sources available for those who wish to employ helpers for terminally ill patients. Doctors and social workers can often recommend qualified assistants or refer patients to agencies that hire, train, and oversee home health care workers. Respite care might be considered for families who are able to provide care most of the time, but need fill-in help to cover weekends or the occasional family vacation. When the time comes, hospice care may be the best solution for end-of-life care. Hospice workers can provide valuable services, including physical, emotional, and spiritual assistance for patients and their families. Few people are able to provide all of the care that a terminally ill loved one requires without seeking help from others. The needs of patients during the last few months of life may be overwhelming for caregivers, especially those who have emotional ties to the patient. By arranging for additional help, whether a network of friends and family members or by hiring professional helpers, terminally ill patients can focus their energies on the things that matter most to them.